A distinct advantage that criminally accused’s persons with specialised representation have over unrepresented accused, or those using generalist solicitors, is that their lawyers are able to identify the real issues in a case that will form the matter in Court. For example, Informants may provide an incorrect date, or misspell a surname in the charge sheets. Some clients have previously read such an error as meaning the charge cannot be proven, for the offence did not occur on the date stated, or the charge sheet names someone other than them, and consequently they are not guilty of any offence. In reality, the Court has broad powers to amend charge sheets and summaries in circumstances where it would cause no material change to the charges, and a good criminal lawyer would quickly point this out. On other occasions, accused persons may feel a great injustice in that another party has not been charged with an offence arising from the same incident. This is common after a fight and only one party is charged with assault or similar offences. Whilst the other party’s conduct is of course relevant to proceeds, experienced solicitors will keep the client focused on their conduct, as that is what is being determined by the Court, not concerning themselves with anyone else. Finally, in contested matters or trials, there are often choices that must be made with respect to strategy and whether to argue particular aspects of the case, pieces of evidence or prosecution witnesses. Whilst it is easy to assume the position of fighting on every possible front, in reality this can prove disruptive and waste resources unnecessarily. Specialists will manage the case efficiently by carefully identifying which points to dedicate efforts towards. We always encourage our Melbourne clients to discuss the issues surrounding the case with us, and ensure that they understand the reasoning behind our advice. We find the best results are obtained when both client and criminal lawyer are on the same level and discussing issues from the same perspective. 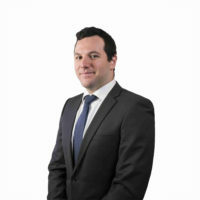 Tom has been part of the firm for the past 10 years, working initially as a law clerk and now as a fully qualified Solicitor. He completed his Bachelor of Laws with Honours at Deakin University, and undertook his legal training at the Leo Cussen Insititute where he was president of his class. Tom appears regularly at Magistrates' Courts, both metropolitan and in regional Victoria. Are supermarket self-checkouts turning shoppers into swipers? Sold your car but the purchaser has failed to lodge the transfer of registration? Restraining Orders, AVO’s, IVO’s etc. What is the difference? The team at Anthony Isaacs are Melbourne based Criminal Lawyers operating in the heart of the legal precinct. Our legal firm practices only criminal law and have been helping people charged with criminal offences like Fraud, Theft, Drug Trafficking and Possession, Assault, Burglary, Robbery, Money Laundering and other criminal offences since 1981.